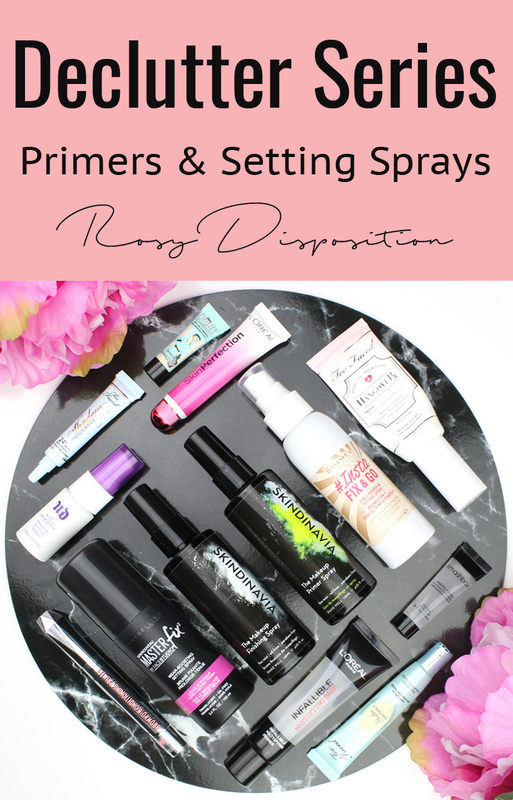 For this part of the series, I included all different kinds of primers and setting sprays. I've never actually been a real devotee of primers. I use them but I have really dry skin so I generally focus more on moisturisation to give me a workable base, rather than trying to extend the life of my makeup because it generally lasts pretty well. Also, because I have such dry skin, setting spray is a big must for me to remove that terrible powdery look that comes hand in hand with dehydrated skin. So after a quick round up of my collection, I discovered I had 9 different types of primers and 4 setting sprays. Too Faced Hangover Rx Replenishing Face Primer - This is the only primer I use on a regular basis and while I'm not sure it does as much as a good moisturiser or facial oil, it does suit my dry skin and gets the job done. 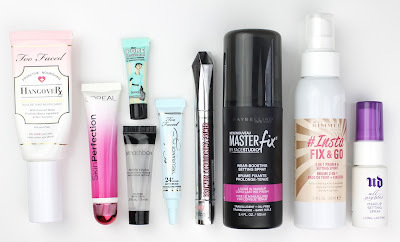 L'Oreal Skin Perfection Magic Touch Instant Blur - I really like pore filling primer because it has a very similar feel and effect to the Benefit Porefessional at a fraction of the price. The Porefessional Primer Sample - This one was buried in my drawers and seems to be unused so I'm going to keep it but probably use it up over then next couple of weeks. Smashbox Photo Finish Foundation Primer Deluxe Sample - I only just got this sample and while I never need a mattifying primer for my skin, when I do makeup for friends of family, a lot of them have oilier skin so I need to keep this one for them. Too Faced Shadow Insurance Eye Shadow Primer Deluxe Sample - This is a pretty big sample and since I don't use shadow primers much, it will probably last me ages. 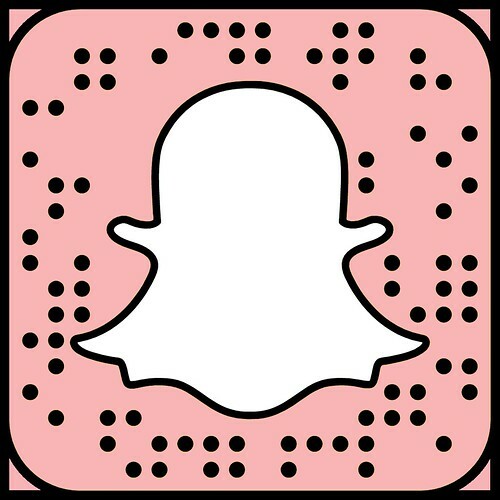 Benefit Browvo! Conditioning Primer - I totally forgot I had this one so I'm going to try and remember to use it every night before bed to see if it works. If it doesn't I will throw it though. Maybelline Master Fix by Face Studio Wear-Boosting Setting Spray - This is my favourite setting spray at the moment, especially for the price, and is the one I always reach for. Rimmel #Insta Fix & Go 2 in 1 Primer & Setting Spray - I'm still testing this one out since it is fairly new. If it doesn't live up to my favourite Maybelline one I will be moving it on. Urban Decay All Nighter Makeup Setting Spray - there is only a tiny bit left in this one which I will focus on using up but I think I'll keep this little bottle to fill up with another setting spray for travel because the spray pump is great. Too Faced Shadow Insurance Eye Shadow Primer - This one is ancient as you can probably see from the state of the packaging. It has separated and definitely needs to go in the bin. 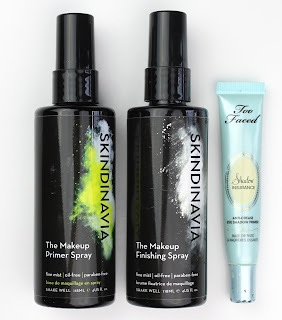 Skindinavia The Makeup Primer Spray - I've had this one for ages and it has definitely expired by now. Skindinavia The Makeup Finishing Spray - this is just as old but thankfully it is almost empty so I don't feel like I wasted it. 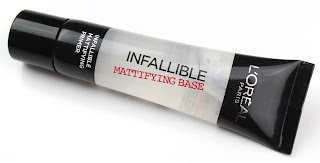 L'Oreal Infallible Mattifying Base Primer - This one doesn't really suit my skin type and I decided to keep the Smashbox one as the better mattifying primer when I do makeup for friends and family. I didn't manage to get rid of too much but I think my collection of primers and setting sprays was pretty under control and I still managed to reduce it by about 30%. I tend to only buy things like this just as I need them because I get less sucked in by new releases and pretty packaging than I do with palettes and lipsticks. I think it is important to have a hydrating, pore filling and mattifying primer for different skin types since I do makeup for other occasionally but I will make sure I use up the ones I have before buying more. As for setting sprays, I have found a great one that I can get for less than 10 bucks on sale so I can't see myself straying far from it. 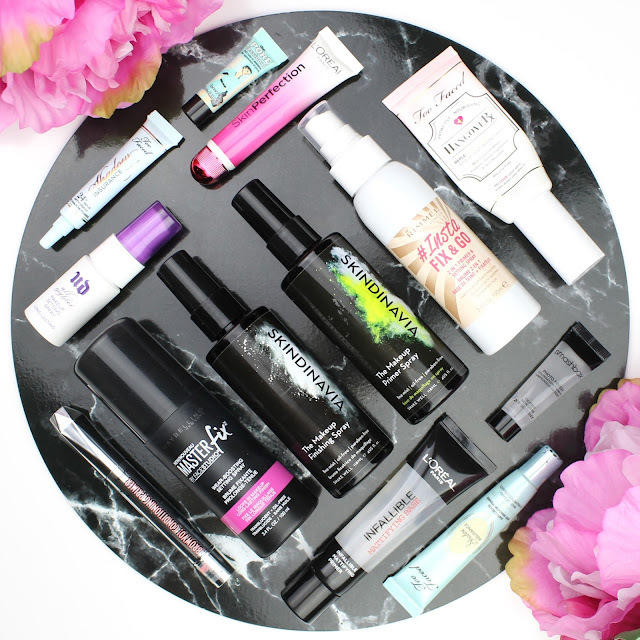 How is your primer and setting spray collection? Could it use a declutter too? 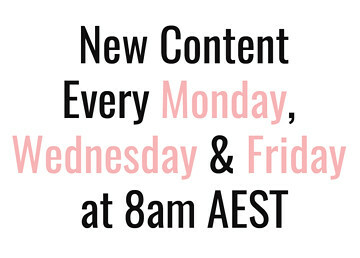 Let me know if you are joining along with this series to get your collection back under control. 3 comments on "Declutter Series: Primers and Setting Sprays"
I love doing makeup but I don't use primer nor setting sprays. I just moisturize my skin with daily moisturizer and apply the foundation after that. My makeup fortunately lasts all day long so I don't necessarily require both the things. I have been searching for good primers and setting sprays since so long,your this post helped me a lot in finding good primer and setting spray for me.